Looking to capitalize on your knowledge of weed and make some money from buying and selling the best cannabis stocks? You’re not alone. Though legalization only happened relatively recently, cannabis stocks have been around for quite a few years now. General cannabis stock prices vary pretty widely—the most established stocks (like Canopy Growth, or WEED on the Toronto Stock Exchange) are over $60 at the time of this article’s writing, while there is a much bigger selection of penny stocks that can be had for under a dollar each. Let’s get into a list of Canadian marijuana stocks that you should take a look at. One of Canada’s OG cannabis companies, Canopy Growth Corporation is well-established and diversified cannabis and hemp company with a huge range of brands and cannabis products under its umbrella. Canopy’s team has its hands in all forms of cannabis from oils to flower. Like many of the best cannabis stocks to buy right now, Canopy is a licensed producer, boasting 600,000 square feet of space for producing cannabis, with another five million square feet of space being built. Just how established and how big is Canopy? Last year, it got a whopping $5 billion investment from Constellation Brands. If you don’t recognize the brand, you might recognize some of the products they carry: Corona, Modelo Especial, Negra Modelo, and Pacifico. If you’re guessing that cannabis-infused drinks like weed beer are going to be hitting the market soon, we’d say you’re right. The lone cannabis stock on this list that’s on the NASDAQ stock exchange, Cronos is another key player. It’s a Canada-based cannabis company, but as you can tell from its NASDAQ listing, it’s business is global. Though its production capacity isn’t quite as big as Canopy’s (~355,000 sq. ft. with an annual estimated production capacity of about 40,000 kg. ), it’s still impressive, not to mention a robust portfolio of brands like Peace Naturals, Original BC, and Whistler Medical Marijuana Company. Oh, and these companies don’t just have brand presence; they’re also all fully licensed to produce, sell, and cultivate medical marijuana or oil. Like Canopy, Cronos recently got a huge investment ($2.4 billion) from Altria Group. Don’t recognize this name either? Maybe you’ll recognize Philip Morris, Marlboro, and Virginia Slims. Yes, big tobacco is getting into the cannabis game too. One of the original “Big 3” cannabis stocks in Canada that have since gone their separate growth paths (the other two being Canopy and Aphria), Aurora Cannabis is a licensed producer (LP) and distributor. With a slated annual cannabis production capacity of over 250,000 kilograms, Aurora also has a 20% ownership interest in Liquor Stores N.A., the biggest alcohol retail chain in Western Canada. Which is interesting—the other companies on the list so far have received investments from alcohol giants; Aurora has gone the other way. This is smart, as these stores already exist throughout Western Canada and all Aurora would have to do is remodel them a bit to sell cannabis as well. Though it already has supply agreements with 12 provinces and territories in Canada, Aurora is doing what many other successful cannabis stock companies are doing: setting their sights abroad—specifically in Germany, Denmark, Italy, and Australia. One of the country’s biggest licensed producers by capacity, Aphria has gone through some rough patches in the past year; it was the target of a short seller attack, which began when Hindenburg Research alleged that Aphria bought Latin American assets that weren’t worth the price, which benefited only the Aphria’s insiders who had shady dealings in Latin America—but the company has rebounded nicely since then. One of Aphria’s more interesting businesses is its medical cannabis projects. It’s licensed to sell medical marijuana through both retail and wholesale, and it’s licensed to export medical marijuana to Italy too thanks to its acquisition of Nuuvera. If you’re interested and truly believe in the medicinal benefits of weed, then WeedMD is for you. It’s one of the top medical cannabis stocks in Canada, with an impressive leadership team and it’s licensed to produce and distribute medical marijuana too. What’s even more impressive is that it has a supply agreement with Shoppers Drug Mart (which conveniently already has stores all across Canada), and though it’s one of seven LPs with this kind of agreement with Shoppers. WeedMD has a few strategically planned differentiators: it covers the excise tax for its customers (medicine shouldn’t be taxed!) and also has agreements with long-term care and assisted living facilities throughout Canada. It’s also established a few initiatives to educate healthcare workers about medical cannabis. Now that’s a true medical cannabis stock. When it comes to leadership starpower, Harvest One has got plenty of it. Their new CEO is Grant Froese, a long-time Loblaw COO (38 years). Why’s that big? Froese brings with him decades of valuable retail experience, something that all cannabis companies in Canada will need—an online store isn’t going to cut it once the industry starts maturing. Harvest One also has interesting products and brands under its umbrella already, including United Greeneries (an LP), Satipharm (which has gel capsules and hits the medical marijuana market), and Dream Water, which you might have seen in airports and gas station counters. It’s a sleep aid that could be reformulated to include CBD, and wouldn’t that be a brilliant way to incorporate cannabis into existing consumer products? Sometimes the best cannabis stocks to buy aren’t technically cannabis companies. A little different from the other licensed producers and cannabis giants on the list (you know we love a little variety), Radient is an extraction company with a patented and proprietary extraction platform (called MAP™). The platform can extract natural compounds from different biological materials super fast—and the final product is top notch in terms of purity, yield, and cost. But what’s special about it is that not only can it work with cannabis to extract oils, it can also work with other biological materials as well, which bodes well for having a diverse range of customers beyond just weed companies. To buy cannabis companies on the stock exchange, it’s pretty simple. 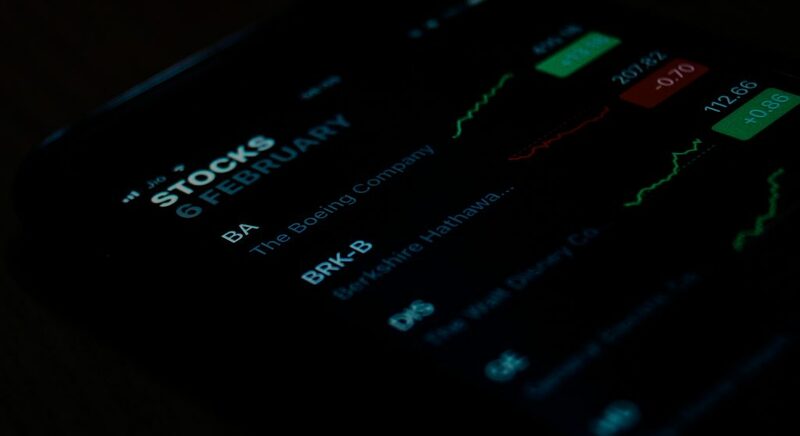 First, if you don’t already have one, you should open a brokerage account (Robinhood’s app is one of the easiest ways, but your bank should have the option too). This is the account that you’ll be adding money into to buy weed stocks. Just like setting up a checking or savings account, you can open a brokerage account in minutes, often online. As you’ve noticed, the cannabis stocks on this list are on different exchanges like TSX and CVE—if you find a weed stock on the NASDAQ or NYSE, that’s definitely an outlier. You can either buy these stocks yourself or if you want to be more hands-off, you can buy an ETF fund. ETFs are index funds that buy into a huge list of stocks, commodities, and bonds so that you’re more protected compared to buying a single stock. If your one stock plummets, you’re losing a lot of money. But even if one stock doesn’t do well in your ETF fund, you won’t feel that loss as much if the rest of the stocks are doing okay.